Because an important cause of hearing loss is loud noise, many parents are concerned that their children may be damaging their hearing by listening to music with earbuds. The Healthcare Policy Podcast explored how the National Institute on Deafness and Other Communication Disorders (NIDCD), part of the National Institutes of Health, is working to reduce noise-induced hearing loss. Podcast producer David Introcaso interviewed NIDCD Director James F. Battey, Jr., M.D., Ph.D., in early January 2017. When sounds are very loud, even for a brief time (such as an explosion), or when sounds are both loud and long-lasting (such as noise at a construction site), they damage sensitive structures in the inner ear. Because there’s no way to reverse the damage, everyone needs to protect their hearing by avoiding noises that are too loud or too close, or that last too long. 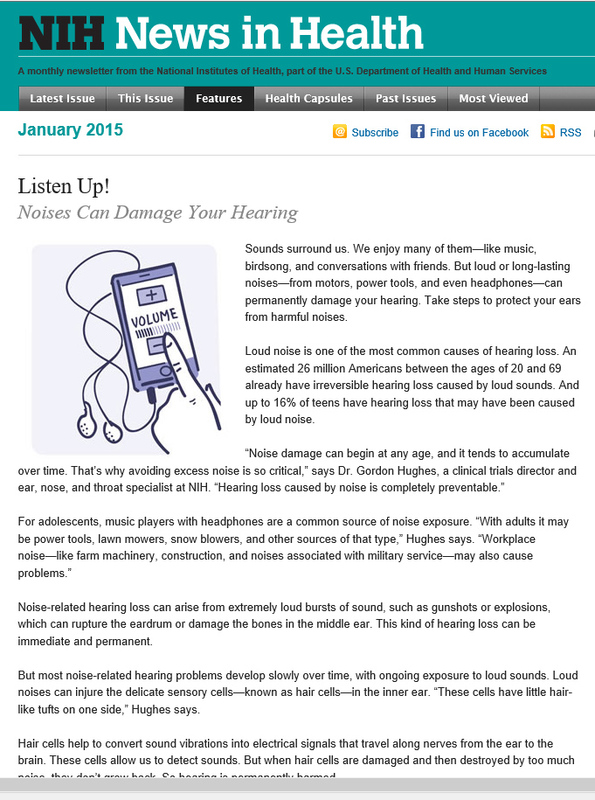 In addition to raising awareness, the NIDCD supports research to better understand the damaging effects of noise on the auditory system as well as to identify and develop treatments that can prevent or reduce noise-induced hearing loss. In fiscal year 2016 alone, the NIDCD invested an estimated $7.4 million in noise-induced hearing loss research. Listen to the 21-minute Healthcare Policy Podcast interview with Dr. Battey. Reading provides a fun and easy way to give your ears a break and your mind a boost. 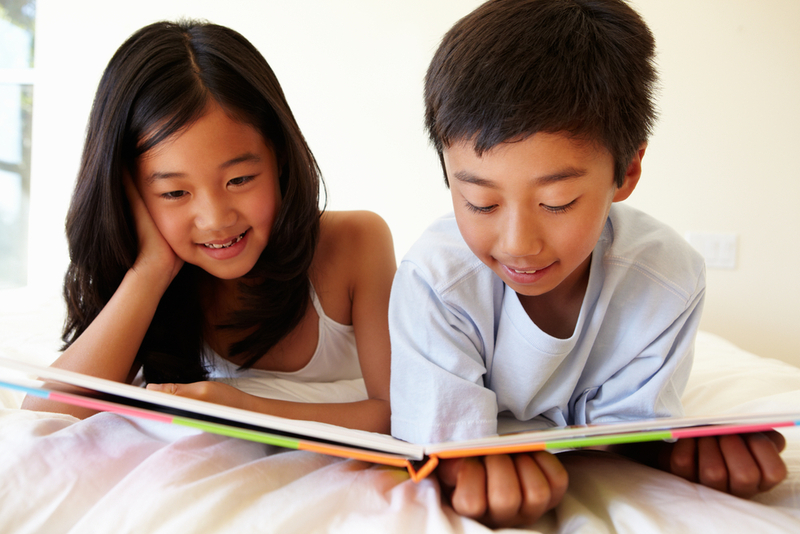 A fun alternative to reading books is listening to them—don’t forget to keep the volume down! In 2013, the New York City Department of Health and Mental Hygiene developed a series of ads encouraging people to turn down the volume on their headphones and earbuds.